You’ve found the best spot on the web for Dominical Costa Rica real estate! 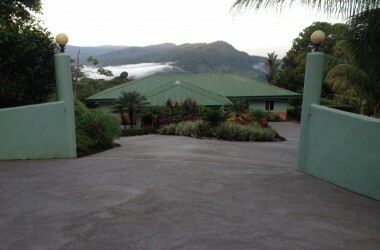 We have tons of great listings for condos, land, and homes for sale in Dominical, Costa Rica. You can also read on for our free Dominical Costa Rica Real Estate Report to learn what your dream property will cost. From Mexico to Ecuador, find your place in the sun. Dominical, Costa Rica Real Estate: What Will It Cost Me? It’s hard know what your dream piece of real estate in Dominical, Costa Rica will cost you. Especially since there’s no MLS to provide reliable information, and comps are usually all over the board. However, thanks to months worth of research, we can now give you a general idea of what you might expect to pay for Dominical real estate, based on the type of property you’re seeking. 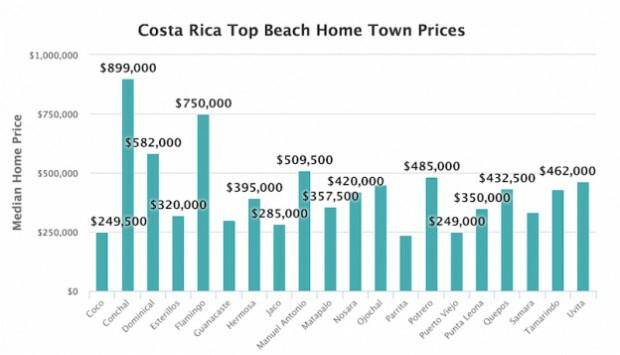 Since the prices we use for real estate in Dominical, Costa Rica (as well as dozens of other cities) are “median” values, that means that half the homes on the market are listed below that price. The other half are priced higher. Not only is there a wide range of prices for real estate in Dominical, Costa Rica, with some coming in at millions of dollars. There’s also a good bit of variety in the size of the homes, with the area offering everything from cozy bungalows to sprawling villas. To get an idea of what you might expect to pay for the number of bedrooms you’re seeking, take a look at this chart that shows the average price per bedroom for a Dominical, Costa Rica home for sale. As you can see, for that median home price of $582,000 you should be able to score at least a 3-bedroom home in Dominical, Costa Rica. The size of the home is one factor that affects the price. Condition is another. However, none are quite as essential as the all-important “location, location, location.” And that’s true on quite a few levels. 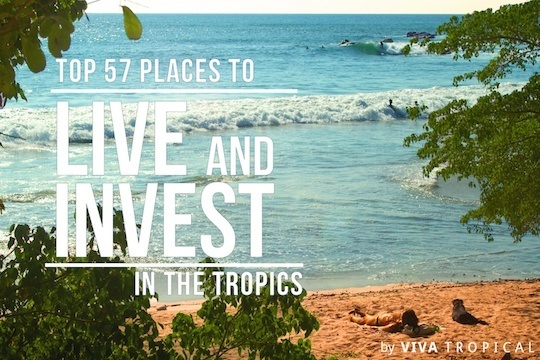 For starters, there’s the fact that Costa Rica’s beach towns command among the highest prices of any of the country’s real estate. Here you can see how homes at the beach in Costa Rica, even those that aren’t located directly on the water, compare to homes in other areas. The good news is that, as indicated by the orange line, there are well over 3,500 listings to choose from in Costa Rica’s most popular coastal communities. Beach homes in Costa Rica already come at a premium. And Dominical occupies a prime location on Costa Rica’s Pacific Coast that’s increasingly gaining popularity among surfers, nature lovers, and investors. As such, its real estate is on the pricey side for beach towns in Costa Rica. If the median home price in Dominical is outside of your budget, try one of these other popular Costa Rica beach towns. If your heart is set on Dominical, remember that there are still plenty of homes priced significantly less than the median. You can lower your cost by choosing a slightly smaller home or by picking one a little further from the sea. If you aren’t crazy about the idea of spending a lot of money on a Dominical, Costa Rica beach home that doesn’t check all your boxes, there’s always the option to buy a lot and build your dream home to your exact specifications. Here’s what you might pay for a lot in Dominical, Costa Rica. Or, like us, if you recognize the tremendous investment potential represented by the prospect of buying land in Dominical, Costa Rica, you can check out the median price for larger parcels, as well as the price per acre, here. How do those prices stack up against other popular beach destinations in Costa Rica? 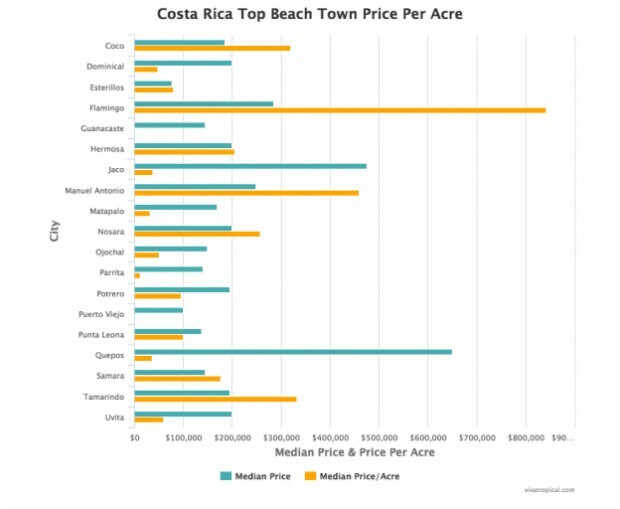 Take a look at how land in Dominical, Costa Rica compares with some of the other coastal towns we surveyed. If you found the information in these charts handy, then you will likely be astounded by the information contained in our complete Costa Rica Real Estate Report, from which these graphs were taken. This report is the product of our survey of over $7.7 billion dollars worth of properties for sale in Costa Rica. That’s more than 12,500 property listings in 254 cities in Costa Rica. The data’s been analyzed, verified, and compiled into a very understandable format with almost 100 charts and graphs like the ones you’ve seen above, with chapters drilling down even further to focus on individual cities. It’s information on the Costa Rica real estate market that you won’t find anywhere else. And it’s free for a limited time. Join Josh with his 6th installment of the Central America real estate show. This episode Casey Stamps joins the discussion on investing in the Southern Zone of Costa Rica. Seasoned tropics builder, Scott Nichols joins the podcast to discuss his trials and tribulations of building a house in Central America. The only book in the world that ranks investment and lifestyle in one place. Over 200 information packed pages with hundreds of beautiful photos. Download the book instantly (for free!) with this limited time offer.